I love chocolate, caramel and hazelnuts so I came up with a recipe that has all three. If you don't have a food processor, place crust ingredients in a zip-top freezer bag and smash with a rolling pin. Place pretzel pieces and cookies in a food processor; pulse until fine crumbs form. Add sugar and melted butter; pulse just until blended. Press onto bottom and sides of a 9-in. pie plate. 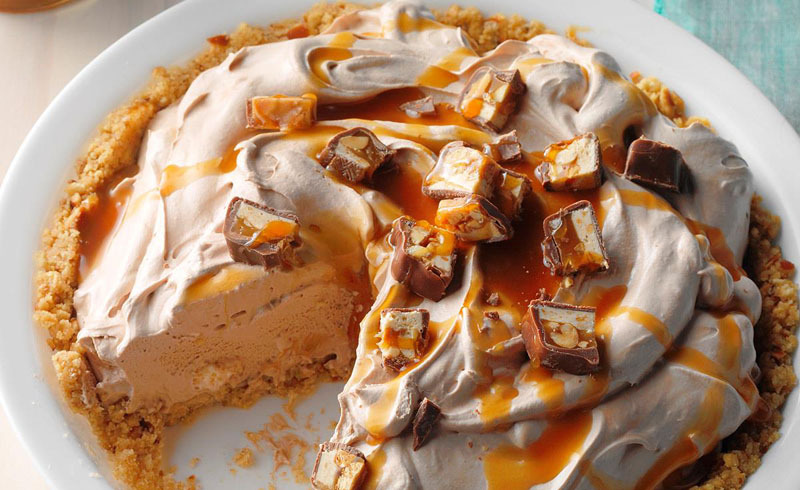 Drizzle with 3 tablespoons caramel topping. Freeze while preparing filling. For filling, beat cream cheese and Nutella until smooth. Gradually beat in marshmallow creme. Gently fold in whipped topping and marshmallows. Spoon into crust. Refrigerate until set, 3-4 hours. Top with chopped candy and remaining caramel topping before serving. 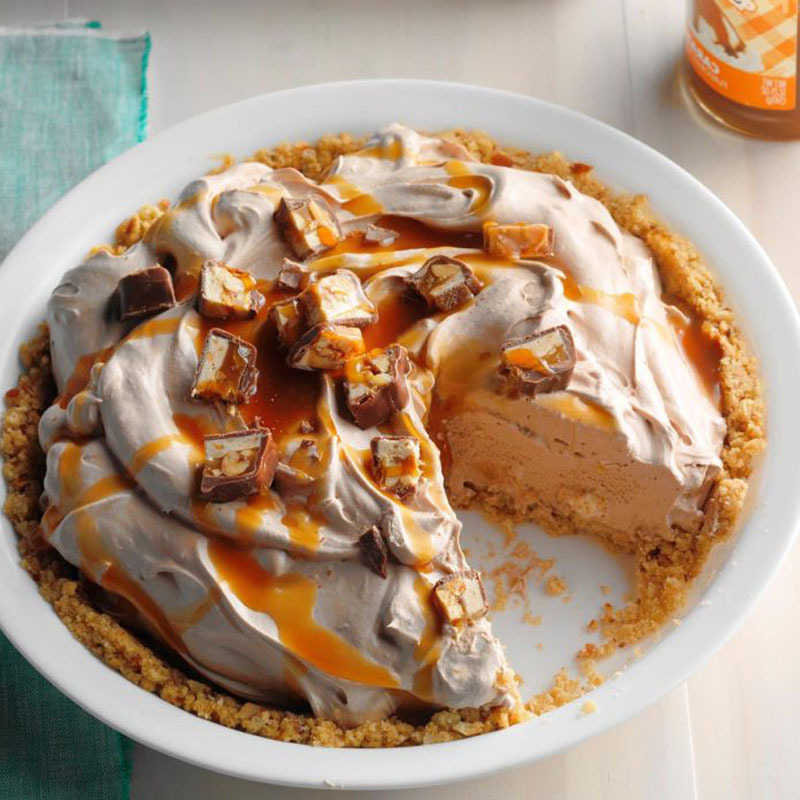 If you're short on time, you can "quick-chill" this pie in the freezer—it will take about one hour. The crust is crunchy, sweet and slightly crumbly. 1 piece: 663 calories, 35g fat (19g saturated fat), 60mg cholesterol, 327mg sodium, 74g carbohydrate (57g sugars, 1g fiber), 6g protein.